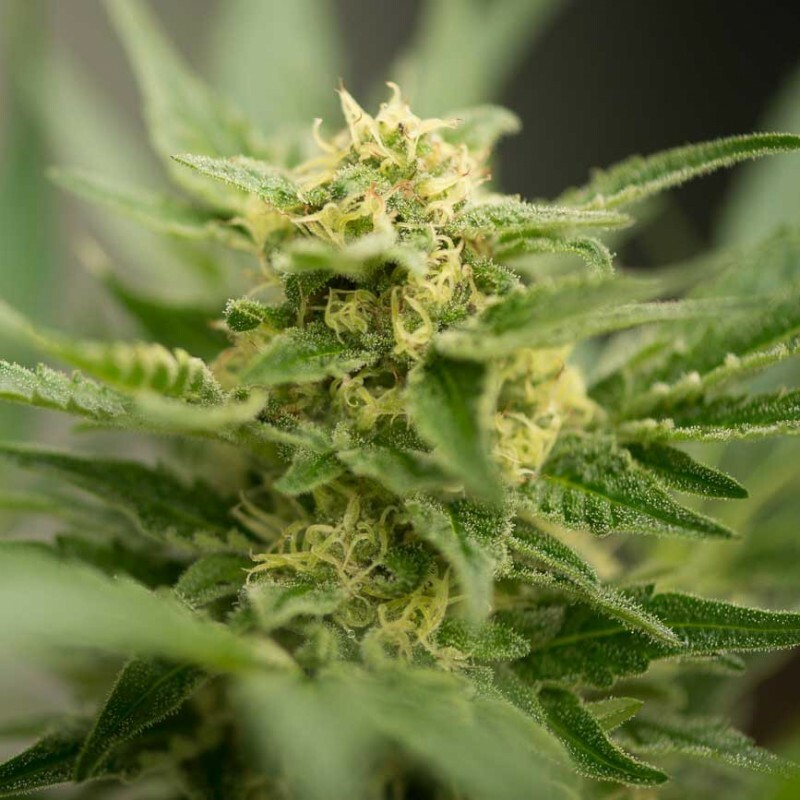 Amnesia Haze Autoflowering is one of the latest versions on the auto flower field, promising appearance sativa with a delicious taste and a euphoric effect on your state of mind, just like the original Amnesia. The Amnesia autoflower strain is one of the biggest versions in the field of auto flowers. It has a promising appearance and rich in Sativa. It has a delicious taste with very strong effects. High Supplies provides the market with the best Amnesia autoflower seeds that money can buy. High Supplies’ Amnesia autoflower is one of species with the longest flowering times. During the growth and the flowering period, the leaves of the plant look like real Amnesia. The leaves are typically dark green with narrow long fingers. Under the best conditions, the buds and flowers develop into a foxtail shape. These are covered with beautiful and silvery crystal layers. Seeds of the company’s auto flower are very precious Cannabis plant with very fast growth. The huge leaves have very good Sativa content. The internodes spaces of this strain smoothens the broader illumination progress. As a result, large size buds grow in the plant. If the plant is harvested indoors, it will take about 80 days to form the buds from seeds. The strain has strong characteristics inherited from Sativa-dominant genetics. Some of these features include tall plants, long stretched buds, and thin large leaves. The plant can attain 80-150 cm height. The strain has high yield of buds. The plant needs sufficient but balanced nutrition for the best growth. High Supplies is one of the most experienced and reputed global suppliers of the Amnesia autoflower strain products. They supply the purest varieties of the strain without any adulteration. The Amnesia autoflower Cannabis products offered by High Supplies have a delicious taste and gives a Euphoric effect on the mind like a real Amnesia. High Supplies offers the Amnesia strains, which are extensively harvested outdoors under the best weather conditions. The plants are fed with enough balanced nutrition. The yield is very high and of good quality. Thus, they are the ideal suppliers of this product. Amnesia Autoflower is a perfect solution for sativa lovers who have little time or space to let them develop to the fullest. The ordinary Amnesia is one of the longest flowering species, so although their buds are very popular in coffee shops, due to her size it's difficult for some to provide her the complete flowering time or space to grow successfully. But now, to the delight of fans the Autoflower variant has risen ! Although they have the necessary ruderalis influences to keep them small they are sativa dominant, which is to say that they, apart from the heyday, have the same features as their big sister. During growth and flowering you'll notice that the leaves have that typical look of a real Amnesia , dark green leaves with long narrow fingers and growing under ideal conditions the flowers/buds develop in a typical foxtail shape with a beautiful silvery layer of crystals. The smell and taste is very familiar to Amnesia lovers and to reach this level it is recommended to let her grow without extra nutrients, the less nutrients the more taste ! Ultimately Amnesia Autoflower is the longest flowering variety but quality of taste and effect is guaranteed if you give her all the time she needs. Among the growers who have tried this special variety Amnesia Autoflower lives a great enthusiasm for her good qualities, a spectacular yield and the energetic euphoric feeling that you experience when using the glorious buds. Amnesia Haze auto flower are vigorous and precious large cannabis plants, which grow extremely fast. The large leaves have highest sativa element and moreover, the internode space smooth the progress of broader illumination, resulting in large sized buds. Amnesia offers a rewarding and easy harvest of high quality marijuana seeds, without the need of removal of male plants or light cycle changes. Best suitable for growing outdoors, it can produce 2 or more harvests during normal summer weather. Under suitable lighting, it’s capable to going to full maturity from seedling in a time span of just few months. The flavor of cannabis sativa strains combined with auto flowering varieties of immense vigor and potency is certainly visible in the quantity and quality of the buds. Best suited for growers with limited energy, time, and space or for medical marijuana users, Amnesia eventually turns out to bean excellent choice for any cultivator. Buds That Look Like a Fix Tail! This variety with clear sativa dominance can yield high quality buds that look like a fix tail. It is also possible to grow it indoor, but with certain precautions. Since it can grow up to 5-ft high, indoor gardeners should monitor the plant in every stage and ensure that the plant is kept under good conditions. Amnesia matures more effectively and progressively in comparison with other auto flowering seeds. Under moderate levels of lighting, EC, and nutrients, Amnesia can offer a perfect flavor. The genetic is renowned for its high yielding and strong effects. This sativa-dominantcannabis has extremely short cropping time from small seed to grow large buds. It can yield from 40 to 150grams with given flowering period of 75-85 days. The effect is so strong and has cerebral that smells like incense. Amnesia auto flowering seeds are ideal for those looking for juicy and big cropping before August. Thanks you for this new seed! 5 out of 10 people found this review useful. Hello do you ship here in Philippines? we do NOT ship to the Philippines. Do you ship in Bosnia and Hercegovina? Can I put the seeds (amnesia autoflower) directly in a pot with earth, or do I need to have them in water first or do somehting else ? I purchase Amnesia which labeled, which strain is it? info on back says, 12weeks,Hieght:80-100cm,yield600gr/m2, THC 20%. Can these be shipped to Scandinavia, and are they shipped discreetly? Which autoflowering (sativa dominant) is better for a non-experience grower and indoor growing conditions, Cheese or Amnesia Haze? Today I got my seeds from you and just wonder when the plant have grown ready can I use al of the plant for making marijuana or only the leefs? When the plants start to flowering it is beginning to be ready, please check our grow guide for advise.